Black, Brown & Taupe Suede. Minnetonka soft, supple suede boot with Santa Fe rubber sole and fully padded insole. 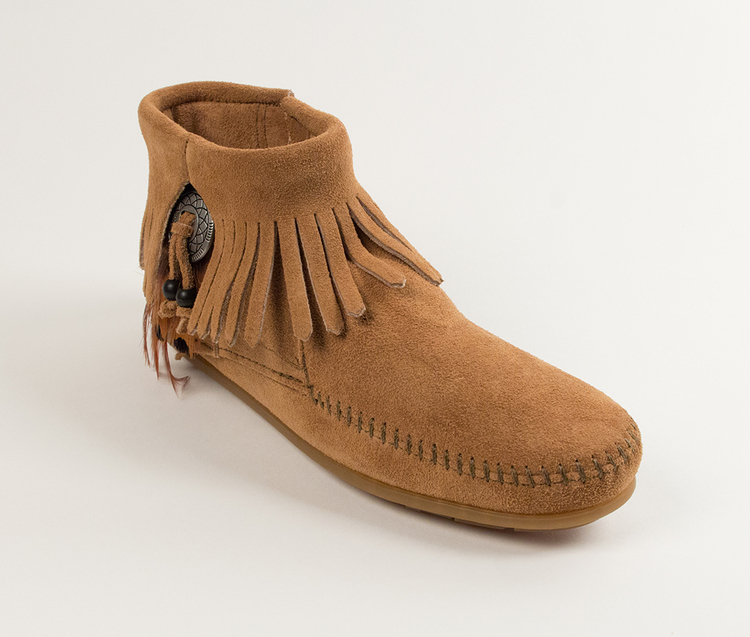 The boot is 4 1/2" tall, accessorized with decorative feathers and concho.